Hmm! We were just wondering --- does a First Lady have an official job? A job with a job description? And maybe even a job with a salary? Well, there is no actual job description for the First Lady of the Unites States. The Constitution does not describe any role for the first lady. In fact, it does not even mention her. But since Martha Washington (our first First Lady of the United States) accepted the job, there have been unwritten expectations of what a first lady should do. And these expectations have been ever changing since that time, all based on the role of women in society at large at the time and on the individual interests of each first lady. Each first lady has created her own job description and has put her own spin on things. Initially, the wife of the president was in charge of all things related to running a house and a home. She also served as hostess at White House social functions along with and sometimes in place of her husband. This was such an important role that when presidents were widowers or bachelors, other women in their families were called upon to step-in and take on this role. The early first ladies even helped established many of the official traditions for entertaining dignitaries visiting the White House. But still no job description and no salary! Harriet Rebecca Lane Johnston acted as First Lady of the United States, or “Hostess,” for her uncle, President James Buchanan (1857-1861), who never married. Beyond defining the role of First Lady, even counting them is difficult as others besides the spouses of the presidents filled the role of White House hostess, particularly in the 19th century. For instance, Thomas Jefferson (1801-1809) was a widower by the time he was elected president so his daughter, Martha, performed many of the social duties a first lady would have been expected to perform. And James Madison was his Secretary of State, so his wife, Dolley Madison, took on the role of White House hostess when Jefferson’s daughter was not available. First ladies have always caught the eyes of the public when it comes to fashion. The hairstyle of Frances Folsom Cleveland, wife of President Grover Cleveland (1885-1889 & 1893-1897) was widely copied. Mamie Eisenhower was known for her color coordination and matching accessories. 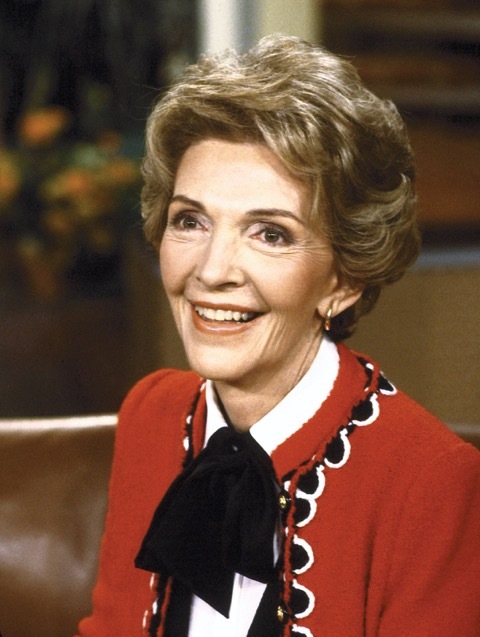 Nancy Reagan, was known for her signature color red, which she wore frequently and eventually appeared in the White House China service. The first ladies have always been advocates for their husband’s programs. But as time went by and the role of women in our society began to change, first ladies found their own voices and began working for causes that were particularly important to them. Other first ladies have embraced causes such as health care for all, environmentalism, the beautification of public spaces, ending poverty, volunteerism and women’s rights. 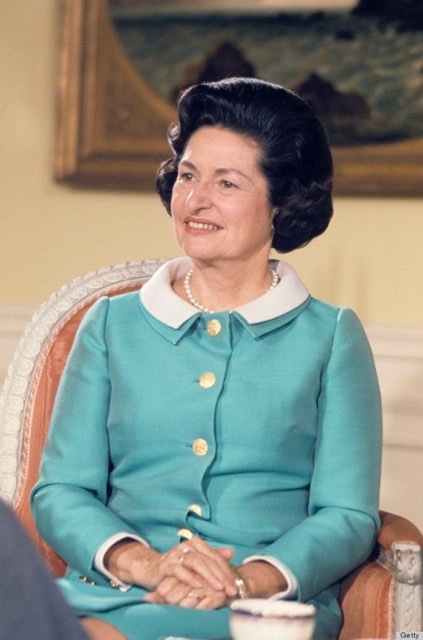 First Lady Lady Bird Johnson, wife of President Lyndon Baines Johnson, is considered to have modernized the role of the first lady. She went on a whirlwind, 47-town solo whistle-stop tour through the South to campaign on behalf of her husband. This was the first time a first lady had ventured onto the campaign trail without her husband. She was also the first first lady to have a press secretary (learn more on our White House as an Office walk) or publish a memoir. But, still no job description and no salary!